Visual material | 2011 | Filmmusik | Musikfilm | DVD-Video | DVD | Rock - PopAvailability: Items available for loan: SB Hennef [Call number: DVD-M] (1). Visual material | 2004 | Musikfilm | DVD-Video | DVD | OperAvailability: Items available for loan: SB Hennef [Call number: DVD-M] (1). by Pavarotti, Luciano [Darst.] | Freni, Mirella [Darst.] | Severini, Tiziano [Koautor] | Orchestra, of, the, San, Francisco, Opera [Koautor] | Puccini, Giacomo [Koautor]. Visual material | [o.J.] 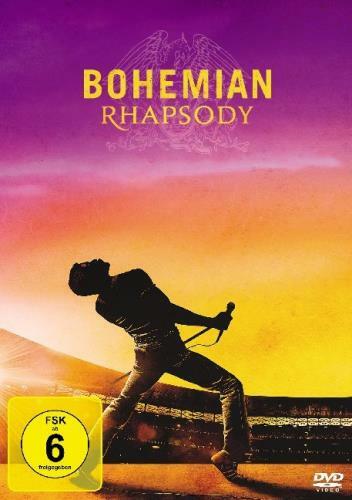 | Musikfilm | DVD-Video | DVD | OperAvailability: Items available for loan: SB Hennef [Call number: DVD-M] (1). by Ewing, Maria | Mehta, Zubin [Koautor] | The, Orchestra, of, the, Royal, Opera, House [Koautor] | Bizet, Georges [Koautor]. Visual material | England 1991 | Musikfilm | DVD-Video | DVD | Oper | ab 0 Jahren | Musiktheater | Musikdrama | OperAvailability: Items available for loan: SB Hennef [Call number: DVD-M] (1). Visual material | 2007 | Filmmusik | Musikfilm | DVD-Video | DVD | Rock - PopAvailability: Items available for loan: SB Hennef [Call number: 1525 DVD-M] (1). Visual material | 2014 | DVD-Video | DVD | Filmmusik | Musikfilm | Rock - PopAvailability: No items available Checked out (1). by Orbach, Jerry [Darst.] | Grey, Jennifer [Darst.] | Swayze, Patrick [Darst.] | Ardolino, Emile [Regie]. Visual material | 1998 | DVD-Video | DVD | Musik und TanzAvailability: Items available for loan: SB Hennef [Call number: DVD] (1). by Gentleman [Autor] | The Evolution. Visual material | 2013 | DVD-Video | DVD | Filmmusik | Musikfilm | Schlager - VolksmusikAvailability: Items available for loan: SB Hennef [Call number: DVD-M] (1). by Protschka, Josef | Benackova, Gabriela | Dohnanyi, Christoph von [Koautor] | The, Orchestra, of, the, Royal, Opera, House [Koautor] | Beethoven, Ludwig van [Koautor]. Visual material | 1990 | Musikfilm | DVD-Video | DVD | Oper | ab 0 Jahren | Musiktheater | Musikdrama | OperAvailability: Items available for loan: SB Hennef [Call number: DVD-M] (1). Visual material | [o.J.] | Filmmusik | Musikfilm | DVD-Video | DVD | Rock - PopAvailability: Items available for loan: SB Hennef [Call number: 1017 DVD-M] (1). by Aykroyd, Dan [Darst.] | Ellis, Nelsan [Darst.] | Boseman, Chadwick [Darst.] | Taylor, Tate [Regie]. by Marron, Carmen [Regie] | Idris, Sid [Prod.] | Jinaro, Jossara [Darst.] | Bandiero, Al [Darst.] | Garcia, Aimee [Darst.]. Visual material | 2012 | DVD-Video | DVD | Musik und TanzAvailability: Items available for loan: SB Hennef [Call number: DVD Musik und Tanz] (1). Visual material | 2012 | Filmmusik | Musikfilm | DVD-Video | DVD | Rock - PopAvailability: Items available for loan: SB Hennef [Call number: DVD-M] (1).